The last number of the Edinburgh Review contains an article on Tom Brown's Schooldays, which we will leave its numerous readers to praise as it deserves. We only refer to it now because it contains, so far as we know, the first attempt to examine the real character and position of Dr. Arnold which has been made since his death. 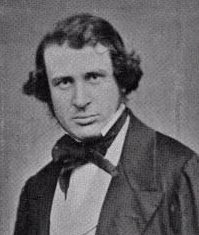 In the beautiful biography which Mr. Stanley wrote in the first feelings of sorrow, admiration, and regret, there is confessedly no attempt made to estimate or to criticise the subject of the story. We are left to draw our own deductions. Dr. Arnold's opinions are neither approved nor disapproved—his conduct is neither censured nor praised. The writer places himself in the position which he had so long occupied, of a pupil who would have thought it irreverent to note the shortcomings or the mistakes of his master. And no one has ever taken the trouble to supply the deficiency—either because the world did not think the deficiency a matter of much concern, or because the prestige attending Dr. Arnold's name has prevented those qualified to judge him from publishing any opinion respecting him. The Edinburgh Reviewer, however, treats Arnold as other men of equal eminence are ordinarily treated. He points out candidly and unreservedly what he considers Arnold's weak side; and we think what he says is well worth examining, not only because it enables us to form a more clear and correct conception of the character of a remarkable man, but also because there were points in Arnold's character which, if impartially viewed, are very instructive, but which can only be brought to light if Arnold is treated as a man whom it is equally open to censure or to praise. We will briefly recapitulate the observations of the Reviewer so far as his review has to do with Dr. Arnold. Having described the general system of English public schools, he asks how Dr. Arnold was related to it. Whereas the essential character of public school education is that the school should be a miniature of the world without, so that boys trained in the one are fitted for the other, Dr. Arnold, he says, introduced into this education a spirit of alienation from the world, of impatience at the world's ways, and contempt for the world's opinion. “The special peculiarity of his character would seem to have been an intense and somewhat impatient fervour.” And his eagerness to see things as he wished, and his intolerance of all that departed from the standard which he set before him, were, in one direction, positively injurious. “To make the boys morally thoughtful was with him the Law and the Prophets. The total want of humour which characterized him prevented him from seeing that much of what he considered awful wickedness was mere fun, and that it was far less desirable than possible to turn boys into men before their time.” In a very spirited and graphic passage the Reviewer describes the practical effects of this on the elder boys. "When a youth of this stamp hears from such a man as Arnold, the sort of half truths which he communicated to his sixth-form boys, he receives them as the very fulfilment of his dreams. His master, the object of his idolatry, delegates to him the combined authority of the priest and the prophet. If there is evil in the house, he is to hate it, to preach to it, and finally, to take a cane and thrash it in the name of the Lord, an exercise which gratifies the old Adam, while it gives a grim satisfaction to the new.” And so the Reviewer goes on, through many more sentences, illustrating in varied language, the effect of putting on young shoulders the burden of moral thoughtfulness. And, if there was a factitious importance given under Arnold's system to the motives of action, so there was a factitiously solemn aspect in which actions themselves were viewed. The instance chosen by the Reviewer is the suppression of a custom by virtue of which the fags were made to cultivate the garden of the sixth-form boys, on a certain island in the school-close. Tom Brown is penetrated with wonder at the wisdom of the devices by which the abuse was done away with, whereas the Reviewer thinks that it would have been just as easy, and much more simple, for Dr. Arnold to have at once forbidden the continuance of a custom which he disapproved of. The fault lies perhaps, rather with Tom Brown than with Arnold. We do not suppose that Arnold conceived that he was doing the great thing which the writer, who is too apt to look at the events of his youth through Mr. Kingsley's spectacles, attributes to him. But still the general proposition of the Reviewer remains, we think, incontestable, that the Rugby system was in one sense a high-pressure system, and an invasion on the old theory of public-school education. The remark that Arnold was deficient in humour gives the key to a great part of his character. Humour, we are told by psychologists, consists in a vivid sense of the disparity and incongruity between man's ultimate destiny—his position as a reasoning, a responsible, and an immortal being—on the one hand, and his pettiness, his foibles, his absorbing interest in the minutiae of daily life, on the other. Arnold recoiled from the lower side of life—he could not bear with the small follies and trivialities of men. He wished everything to be as men picture the world to themselves, when they temporarily regard it under the influence of their higher thoughts only. Ordinary men soon return to common working life, and to the feelings and habits which this life engenders, and the instinct which guides them to do this is what we call common sense. A reflective man, who also returns to daily life and vulgar thoughts, but who retains a vivid impression of his deeper thoughts, and feels the contrast keenly, but is struck with the oddity of it rather than with sadness, is a humorist. But the men who, if measured by the range of thought over which humour extends, are narrow because the cannot preserve the balance of their minds and accept the smallness and vileness of ordinary existence, are the men who often influence the world most, who impress themselves most fixedly on their fellows, and add most largely to the vein of thought which feeds the moral life of society. They are intense because they are one-sided, and intensity is more powerful than humour. The world puts its own interpretation on their teaching, and brings, it within the possibilities of actual life; but still it receives this teaching, and abides by it, unless other teaching comes to supersede it. If Dr. Arnold had been a good man, but also a humorous one, he would probably have avoided victimizing his elder boys by subjecting them to all that was absurd in the theory of moral thoughtfulness; but he would also, probably, have failed to give that impression of reality and intensity which worked on his pupils, and lay at the bottom of their admiration for him. The world reasonably complained that his pupils behaved as if they were privileged people; but it was quite true that they had enjoyed a privilege, for they had seen daily for some years one of the rarest of sights—a man with an intense hatred of evil, and an intense love of good. This intensity depends for the direction which it assumes on the concomitant qualities of the mind, and especially on those affections, instincts, or habits of thought which are termed moral sympathies. Arnold hated ecclesiasticism with such a bitterness of hatred that he could only describe his feelings towards the heads of a party in the English Church to which he was opposed by saying that he should like to be left to fight it out with them in a saw-pit. And yet there was a point on which he very nearly approached the ecclesiasticism which he hated. He evidently took up his Church theory in much the same spirit, and by much the same mental process, as his opponents took up their Church theory. The notion of a Christian State with the politics of Aristotle and the ethics of St. Paul, exactly fitted into the groove of his mind, and he insisted on believing it to be true and possible. Nor would it be difficult to apply the high-pressure system of education to the purposes of his adversaries. If we can suppose a large school, with a plan of constant surveillance, elaborate contrivances for putting the names of boys in different-coloured books according to their behaviour, arrangements to carve out the way of spending every hour of the day, and sermons on the meat at dinner being bad or good, it might be very plausibly maintained that this was a parody of Rugby under Arnold. But Arnold's moral sympathies were of the highest and noblest kind. He had a passionate love for truth, liberty, and honesty. He panted after all that was large and generous. He had a boy-like fondness for pathetic stories and gallant deeds. His animal spirits were excellent, and he had a genuine pleasure in physical exercise, and in sports and games of all kinds. The consequence was, that there was a counterbalancing element which prevented Arnold's theories and his proneness to moral exaggeration from working as they would have worked if he had been a cold or formal man. The Edinburgh Reviewer was not called upon to notice this element, in Arnold's character, because he was only speaking of Tom Brown, who not only over-admired, but even magnified the other side of Arnold's mind. But no correct notion can be formed of what Arnold meant by moral thoughtfulness, unless we take into consideration the fact that, along with the inculcation of a scrupulous solemnity of character, there was the hourly exhibition of the frankest, freest impulses towards every form of goodness, an almost personal love for all heroic men, and the most constant tenderness and consideration for any weakness that he did not consider to indicate a want of manliness. Very often from these two sides of his character proceeded what must seem a contradiction to those who only know him by books. The Reviewer selects an excellent instance. In Tom Brown, Arnold is represented as interested and enthusiastic about the school games. The Reviewer quotes from Mr. Stanley's biography a letter in which Arnold expresses a very different feeling, and says, that “when the spring and activity of youth is altogether unsanctified by anything pure and elevated in its desires, it becomes a spectacle that is as dizzying, and almost more morally distressing, than the shouts and gambols of a set of lunatics.” “No one,” continues the Reviewer, “would discover from Tom Brown that these were Dr. Arnold's feelings;” and yet Tom Brown did but paint from the life. As a matter of fact, Arnold was extremely fond of all boyish sports, heartily interested in the games of the school, and very anxious that o. as well as moral courage should be stimulated among his boys. But when he came to think quietly and write confidentially about such matters, the sympathies which real life called into play were dormant. He looked at boyish games with that highly wrought seriousness which belongs to a man whose thoughts are intensely set on things above, and who has not that power of shaping into a whole the vulgar and the sublime, the natural and the supernatural, which we call wisdom or humour, according as the judgment or the imagination predominates. This union of a narrow intensity in forming the bases of belief and establishing the first principles of action, with noble and wide sympathies also showed itself in Arnold's literary works. They charm by the beauty of their style, by the earnestness with which the author cleaves to his convictions, and, above all, by the spirit of purity, of generosity, and high feeling which they breathe. But they have all one marked characteristic—the show that the author had a strong love for truth, but a weak love for evidence. Arnold could not bear the attitude of doubt, the distrust of his own judgment, the balancing of nice probabilities which is the weary work of every one who cares for evidence. It is one thing to say, at all hazards, that which we really think, and another to sift minutely the grounds on which our belief rests. Arnold wrote on very difficult, and sometimes dangerous, subjects, and he would have gone to the stake rather than have concealed a single one of his opinions; but when he came to a great intellectual difficulty, he trusted for its solution to his moral sympathies. He wrote the history of early Rome, not by means of that laborious and impartial examination of authorities, entirely careless as to the result at which it arrives, which is so distasteful to the human mind that we can scarcely wonder at the small number of trustworthy historians, but by means of an ardent admiration for Niebuhr's moral character. He sympathized so heartily with the tone in which the great German wrote, that he would not venture to differ from him as to the origin of the Etrusci. So, too, no historical writer of the present day has carried to so great a degree as Arnold the passion for that most fertile source of delusion—historical parallels. . It exactly suited him to judge of men by the community of their supposed sympathies, and to group together events, so as to make them teach the same lesson. If we examine the evidence, historical parallels generally fade away. The circumstances are only superficially the same, and their adjuncts are entirely different. The consequence is, that Arnold's histories are already almost forgotten. Among his writings none are at all likely to live except his sermons. They will live, because they express his mind as it showed itself in a sphere which it could properly seize on. Appreciation of evidence is not necessary for a good sermon—a sensible treatment of the little things of daily life is not necessary. What is wanted is intensity of conviction, fearlessness, frankness, and simplicity; and all these Arnold had in a degree beyond, perhaps, any of his generation. Saturday Review, February 6, 1858.